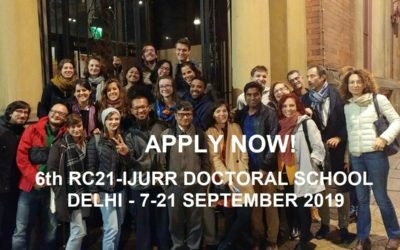 Please send submissions to the convener(s) and cc your submission to rc21delhi@gmail.com. 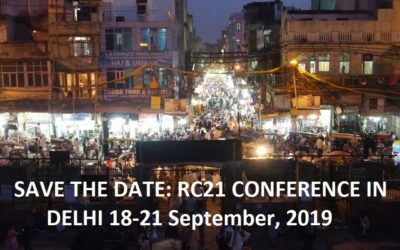 Please send individual abstracts, which may not fit in the selected sessions but relate to wider themes and sub-themes of the conference, to rc21delhi@gmail.com. 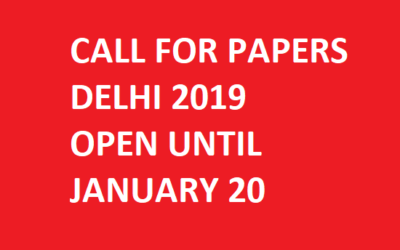 Selected papers will be notified by 20th February 2019. On September 21, Prof Dr Sophie Body-Gendrot, a long-standing member of RC21 and inspiring colleague, beloved friend and excellent teacher for many in the RC21 community, has passed away after an illness. We have asked Professor Enzo Mingione (University of Milano-Bicocca), Professor Marisol García (University of Barcelona), Adrian Favell (University of Leeds), and Patrick Le Galès (Sciences Po) who knew Sophie Body-Gendrot for many years, to share their memories and appraisal of Sophie Body-Gendrot. With her passing away, we have lost a highly inspiring scholar, generous with support for younger scholars, and a strong influence in urban studies. 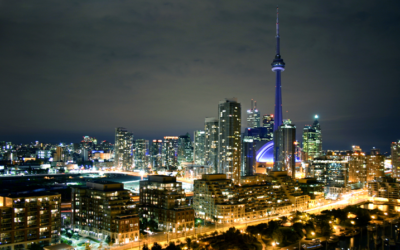 The Delhi 2019 Conference web site is online! 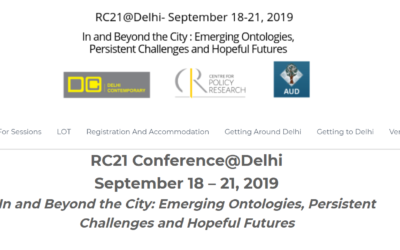 RC21 Conference@Delhi (September 18 – 21, 2019): In and Beyond the City: Emerging Ontologies, Persistent Challenges and Hopeful Futures. Call for sessions is now open!